Let's Learn LTE: LTE Interview Questions? 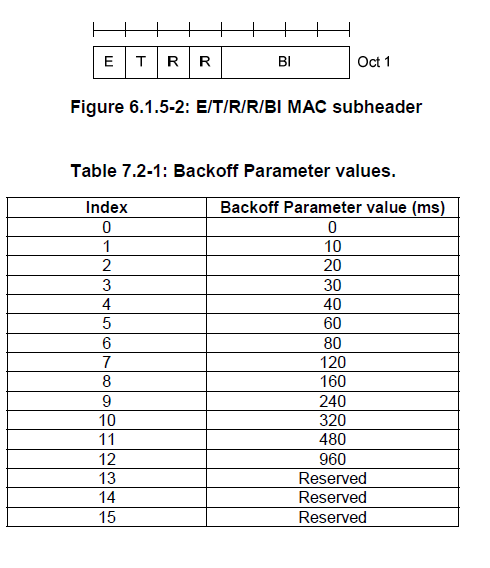 UL resources are allocated and number of padding bits is equal to or larger than the size of the Buffer Status Report MAC control element plus its subheader, in which case the BSR is referred below to as "Padding BSR"
retxBSR-Timer expires and the UE has data available for transmission for any of the logical channels which belong to a LCG, in which case the BSR is referred below to as "Regular BSR"
periodicBSR-Timer expires, in which case the BSR is referred below to as "Periodic BSR". The SECURITY MODE COMMAND message is used to command the UE for the activation of AS security. E-UTRAN always initiates this procedure prior to the establishment of Signalling Radio Bearer2 (SRB2) and Data Radio Bearers (DRBs). AS security comprises of the integrity protection of RRC signalling (SRBs) as well as the ciphering of RRC signalling (SRBs) and user plane data (DRBs). 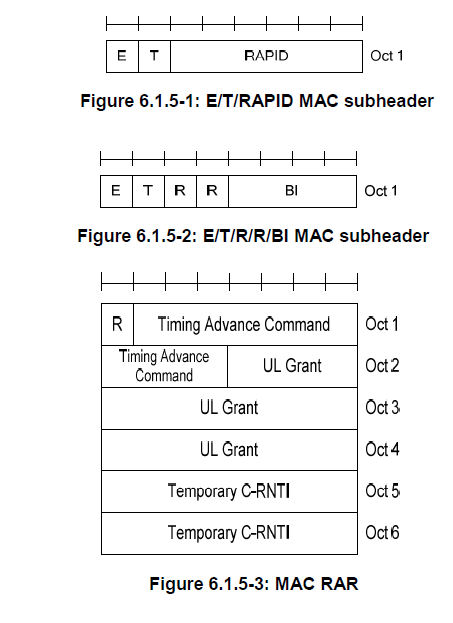 The integrity protection algorithm is common for signalling radio bearers SRB1 and SRB2. The ciphering algorithm is common for all radio bearers (i.e. SRB1, SRB2 andDRBs). Neither integrity protection nor ciphering applies for SRB0. The eNodeB sends integrity protected SECURITY MODE COMMAND message to the UE. The UE shall derive KeNB and KRRCint which is associated with integrity protection algorithm indicated in the SECURITY MODE COMMAND. Then, UE verifies the Integrity of the received SECURITY MODE COMMAND by checking the Message Authentication Code (MAC) in the SECURITY MODE COMMAND message. If the SECURITY MODE COMMANDmessage fails the integrity protection check, then the UE sends SECURITY MODE FAILURE to the eNodeB. If the SECURITY MODE COMMAND passes the integrity protection check, then the UE shall derive the encryption keys KRRCenc key and the KUPenc keys associated with the ciphering algorithm indicated in theSECURITY MODE COMMAND. The UE shall apply integrity protection using the indicated algorithm (EIA) and the integrity key, KRRCintimmediately, i.e. integrity protection shall be applied to all subsequent messages received and sent by the UE, including the SECURITY MODE COMPLETE message. The UE shall apply ciphering using the indicated algorithm (EEA), KRRCenc key and the KUPenc key after completing the procedure, i.e. ciphering shall be applied to all subsequent messages received and sent by the UE, except for the SECURITY MODE COMPLETE message which is sent un-ciphered. 36) How many default and dedicated bearer possible in lte? 37) Can there be multiple default bearer to same PDN? 38) How the position of each SIB is calculated in LTE? 39) How measurement GAP calculation happens in LTE?